The little brother to our Abby mug, the Small Abby hasn't been around that long, but is becoming a fast favorite. 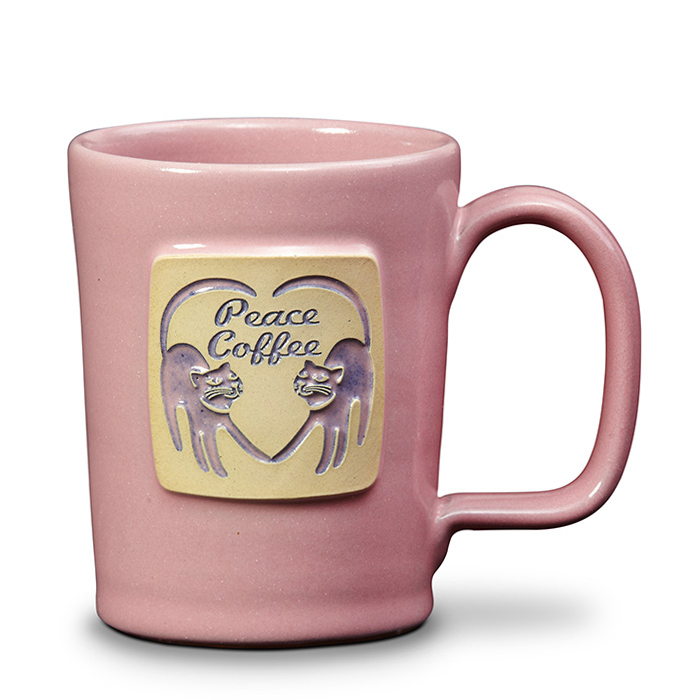 Coffee shops and restaurants especially have an affinity for this style, such as our friends Peace Coffee who currently highlight six different pieces of medallion art on Small Abby mugs. With a smaller capacity and a nice big handle, the Small Abby is the perfect choice for those looking for a petite modern mug. Glaze: Pink Industry: Coffee Roaster (We work with many different industries) Capacity: 10 oz.